The Military Vehicles Association (MVA) was founded in 2014 by three friends, Massimo Lucioli, Nicola Nicotera and Giuseppe Lo Gaglio, collectors of military vehicles of the Second World War. MVA is federated with the IMVCC Association and the ASI (Italian Association of Historical Vehicles). In 2016 Massimo met Erwin Flores, and the two began to undertake a series of small ‘raids’ around Rome with their BMW R75 sidecars. It is during these tours that the two friends decided to bring back to life the massive Italian meet of BMW R 75 and KS 750 heavy sidecars, inspired by the Brisighella classic. 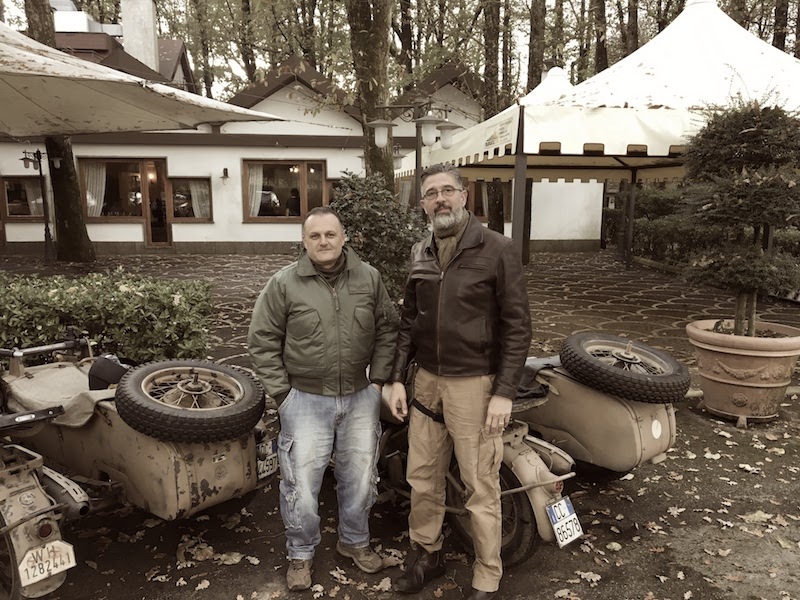 They were later joined by Alessandro Baldetti, a Zündapp KS750 owner and enthusiast from the Tuscany area, and Tiziano Montanari from Faenza, a well-known expert and important reference point for all Wehrmacht sidecar owners in Italy. Finally, the group gained the support of Jörn Frederik ‘Freddy’ Klein, also a BMW R75 owner, as contact person in Germany.